Help support the WCHA Forums by making a tax-deductible donation! Discussion in 'Wood and Canvas' started by cwfrench, Jul 23, 2011. At that point in the restoration of my '27 Old Town CR. After a last coat of red paint to the exterior I will turn my attention to the interior. I plan on using Pettit Captains varnish and finish with a satin finish. 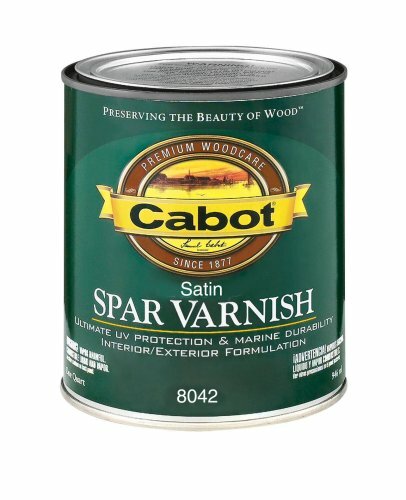 Reading cans of varnish etc at the local boat supply (Hamilton Marine in Portland) led me to believe I would be better suited to start with a coat of Clear Wood Sealer (also Pettit). I applied HOT linseed oil at least 2 months ago prior to canvass on the inside and outside of the hull. Does that change the recommendation? Do I need to use the sealer or can I redirect my budget towards more varnish (have one Qt of Captains right now). PS; should the Old Town decal go one first or after at least one coat of varnish (as I was planning)? A sealer might help to keep the linseed from bleeding through. It has a nasty habit of bubbling up if the boat is sitting in the sun. For the decal, put at least one or preferably 2 coats of varnish on the deck and let it harden good - 4-5 days. Sand with fine (220) paper, apply the decal and then let it dry a few days before applying additional varnish. When you are sanding your topcoats, be careful you don't cut into the decal. Wanted to 'bump' this thread as I am at that stage in the restoration. I have some time Thursday night to vacuum, tack rag and apply sealer or varnish. Last minute thoughts on my question posted above? The label warned not to apply or dirt etc etc but it also said "oil" humm....Does three month old linseed fall under this? Petit Sealer works with Oil. No problem, and drys fast, but needs to be sanded. Alternate is pour off a quarter can of Captains and thin it with turps or Brushing Thinners. Apply direct and rub off next day. Both of these products will help seal the oil into the wood and accept further coats of varnish. How much should I thin it? watery. maybe 10 to 15 %. Don't pour it back as Captains will kick off in the can if mixed with Turps. I know that’s an old thread, but I’m trying... You was talking about finish with satin varnish, I am currently in this situation here. I what to apply 2-3 coat of Captain’s 1015 and finish the last coat with a satin varnish. Do you have recommandation for the satin varnish who will be compatible with the Captain? I'd let the Captains dry pretty well and scotchbrite the surface (which both improves the bond and makes the next coat flow out better) and then use something like this stuff. It's fairly rare to find a satin varnish like this with good UV absorbers and rated for exterior use. I have a gallon of Minwax Helmsman spar-urethane semi-gloss, do you think it will bond on the Captain varnish? It's another oil-based varnish, so I don't know why it wouldn't. Keep any of the semi-gloss and/or satin varnishes well stirred before and during application. The ingredients which cut their gloss tend to settle in the can and when poorly mixed the surface sheen can be spotty. It certainly never hurts to test any mixture on scrap and make sure it dries properly before you start using it on a boat - just to be sure. I've had great luck with the Epifane satin over my undercoats of gloss spar....I've not tried it over the Captains but as long as you've roughed up the surfaces between coats it should be fine. Thank you Todd and MGC! I’ve read others post on «urethane VS varnish» and it seems better to stick with original varnish. So I think I will not use my Helmsman spar-urethane as finish layer of a good varnish like Pettit. It’s true that I could use other products like Epiphane, but I have probably too much of the expensive Captain’s 1015 varnish for my canoe already. So, I’m now thinking to sand with 400 or 600 grit to take the gloss off and obtain a semi-gloss or satin finish. If someone have any recommandation or experience to share with this technic, I will be happy to read them! I use 1015 capt. varnish A lot. Yes thin the first coat. After a couple of coats, scotch brite pads work great between coats. Let it dry well for a few days. Then Epifanes matte. It's a satin sheen. There is no comparison! Not sure how to describe it, but it's gorgeous. Spend the extra couple of bucks on it , you won't be sorry. Any pics of a canoe with matte or satin on the inside? Dan Lindberg and BigWheel like this. Thank you all for the answers! I will reconsider using Epiphane then, or maybe Man O’War, depend what can order my local store. The project is still in progress, but here is the Captain’s varnish first coat, I like the thickness and it seems to be tought/durable. jva74 and Dan Lindberg like this. I much prefer matte/satin varnish, including on paddles. Less glare, even when wet! These are all done with Epifanes. @Rob - must be nice to have a fireplace in your man-cave!